This part will extend your GX200/160 intake to product more torque using the standard (stock) carburettor. 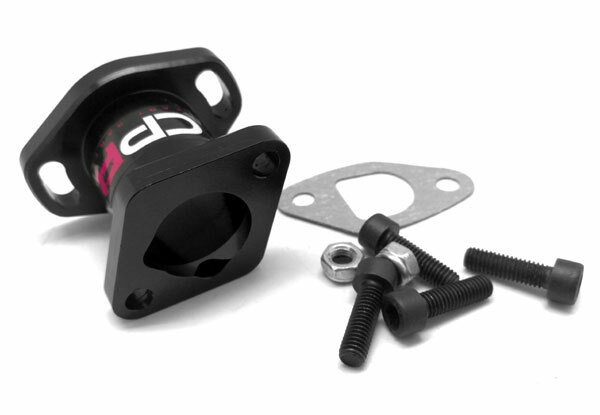 Shipped ready to install, just unbolt your carb and insulator and replace with the included mounting hardware it’s one of the easiest ways to increase performance and drive faster. 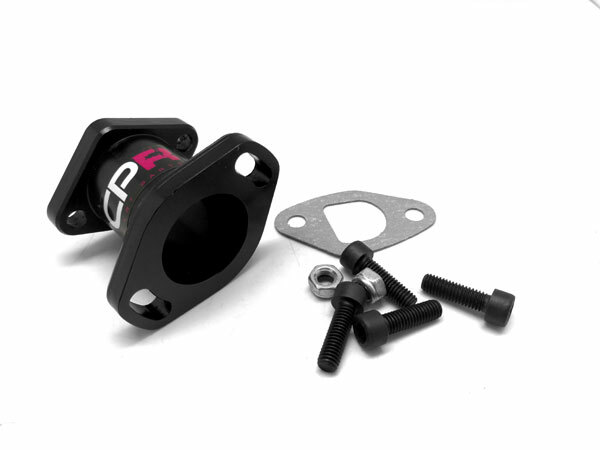 Crafted from premium billet alloy, CPR CNC designed competition inlet manifolds provide a contoured air channel, funnelling air directly into the inlet port for maximum power and smooth torque delivery. 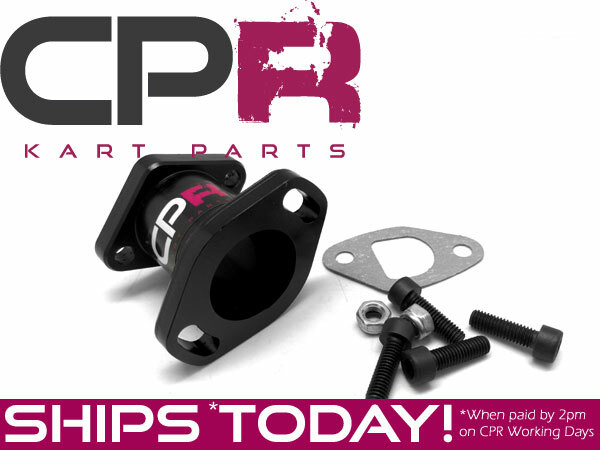 Compatible with all GX200 and GX160 engines including CPR 6.5 and 10hp models. Suits GX200 / GX160 engines, and GX200 or GX160 standard (or modified stock) carburettors. 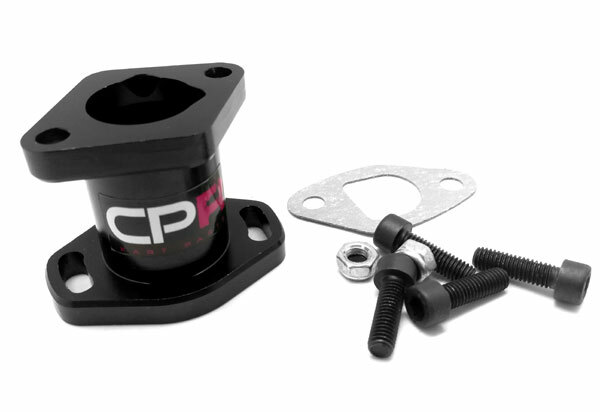 If you are looking to adapt this item to another engine or carburettor, stud spacing is ~48mm centre to centre on the carb side and 42.5mm on the engine side. Made from Billlet Alloy so can be machined to suit race engines with porting or bigger carb bores.